24 Faubourg by Hermes. This is a fresh and floral fragrance for women. It contains of gardenia, orange blossom, orange, amber, hyacinth, jasmine, iris, sandalwood, ylang-ylang, peach, black elder flower, patchouli, vanilla and bergamot. 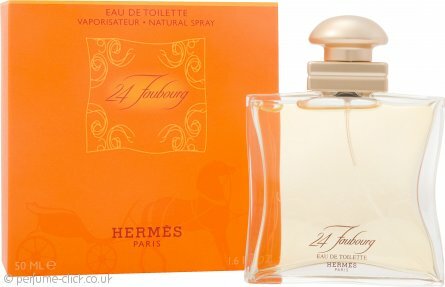 24 Faubourg by Hermes was launched 1995.